Kids can be notoriously picky eaters, especially with plant-based diets. The trick is to find healthy vegan snacks for kids that look so good it’ll fool them into eating healthy! Here are 10 healthy vegan snacks for kids that are so good they may just very well tempt you too. It’s a widely known fact that kids love chocolate, scratch that, humans love chocolate. This healthy vegan snack for kids is so good, adults tend to love them too! Not only that, but they are super easy to make and don’t require any cooking! 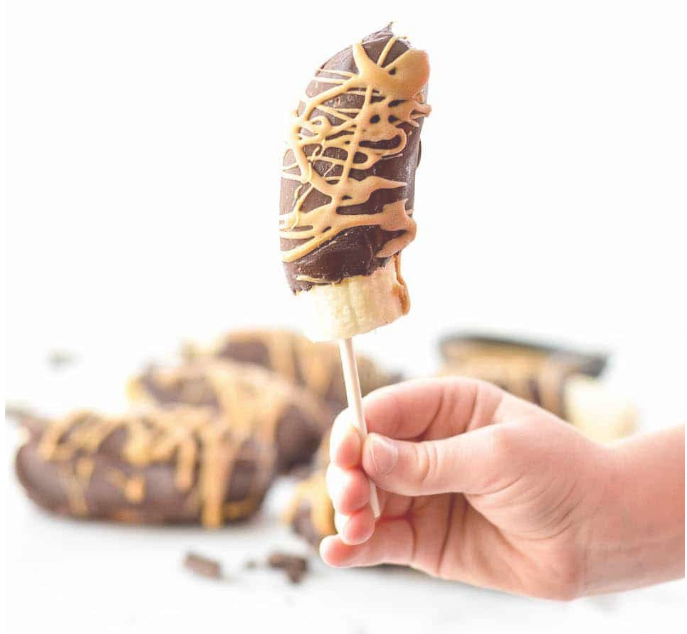 Simply cut your banana in half, stick onto lollipop sticks, and spread generously with your favorite nut butter before dipping in vegan chocolate! Recipe and more found here, thanks Joy, Food, Sunshine! 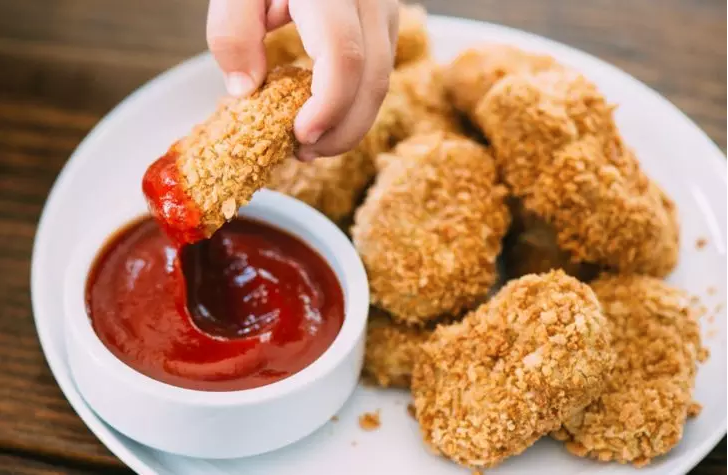 When it comes to snacks, especially snacks for kids, chicken nuggets are king. If you’re looking for a morally acceptable, vegan version of the snack-time favorite, look no further. 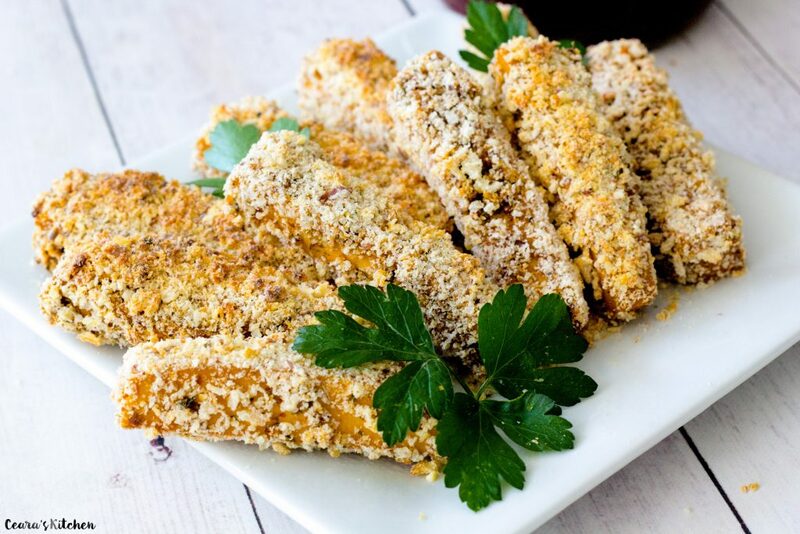 Additionally, this recipe is easily manipulated to be gluten free by using gluten free panko crumbs! Summer is closing in quickly and you need a snack that’s just as prepared for adventuring as you are. 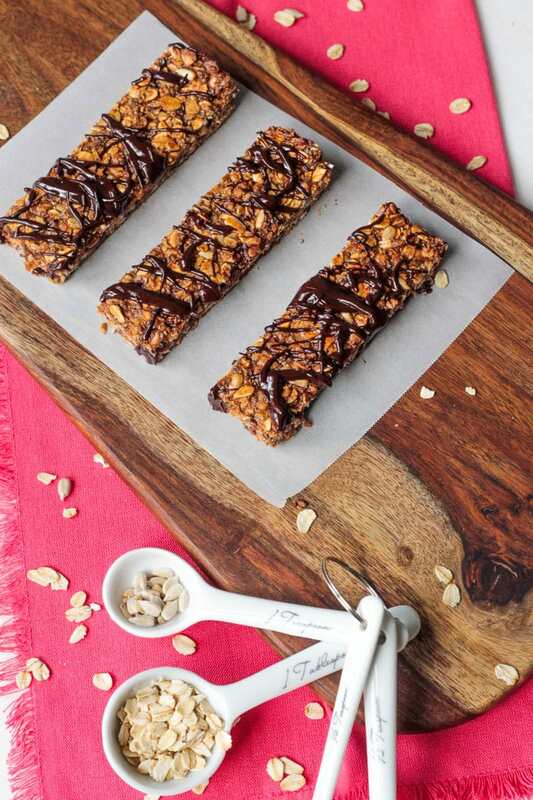 These vegan gluten free granola bars are the perfect, on-the-go snack for you and your kiddos. Tahini is the standout ingredient in this recipe, it’s a wonderful replacement for nut butters if you have a nut allergy, or if your kids’ school doesn’t allow nut products. Nora’s Kitchen Granola would be a wonderful addition to this recipe if you and your kids can eat nut products! Recipe and more found here, thanks Veggie Inspired! 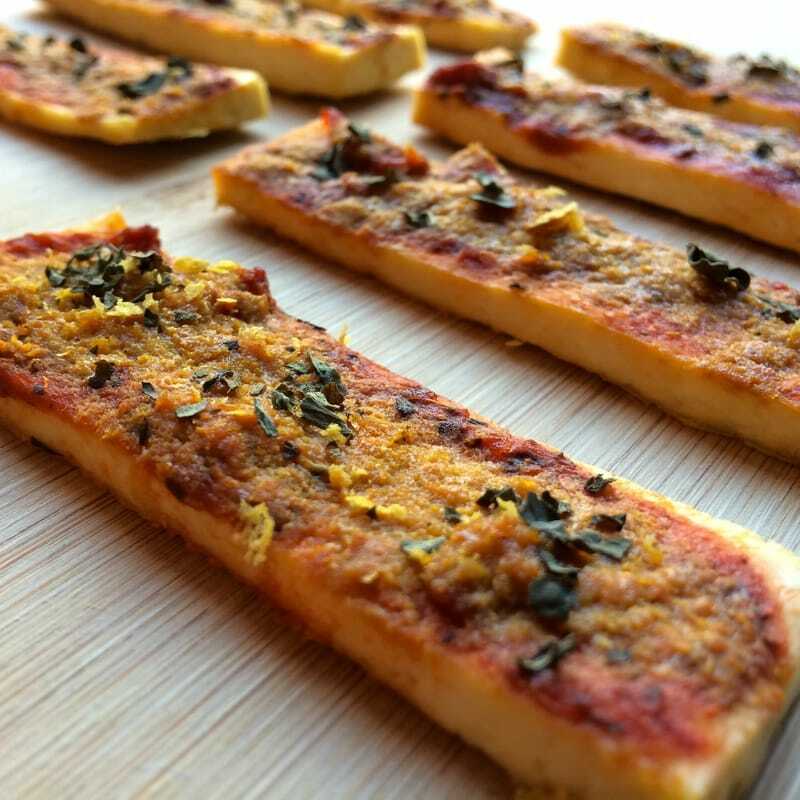 These low-carb, vegan, gluten free pizza sticks are not only tasty, but super healthy, which is a win-win when it comes to identifying the best healthy vegan snacks for kids. The leftovers (if there are any) stay fresh for up to 5 days, making them the perfect after-school snack! Recipe and more found here, thanks Vegannie! 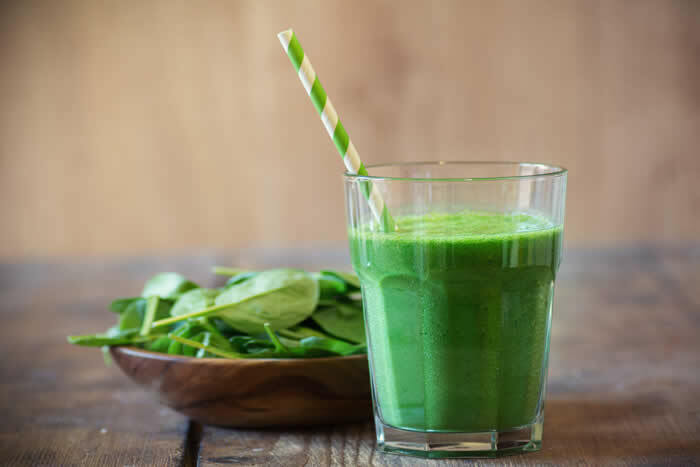 You and your kids will drink like popeye with this spinach filled smoothie recipe. A hefty dose of banana will pique your kids taste buds and you’ll be worry free since they’re ingesting spinach on purpose! It’s super quick, easy to make with just four ingredients, and is without a doubt one of the most refreshing of all the healthy vegan snacks for kids! Full recipe found here, thanks Blenderbabes! Warm weather and blue skies are coming, that means its salad roll season! 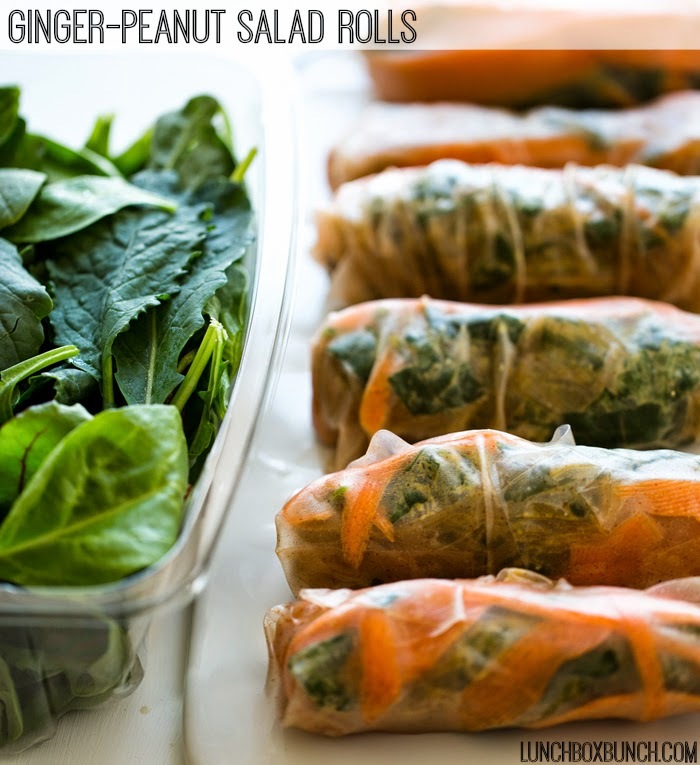 These thai-inspired salad rolls are refreshing, tasty, and full of ginger-y peanut-y goodness, featuring kale! The sweet and savory dressing will be a hit for the kiddos, and you’ll be astonished they’re eating kale willingly. Full recipe and more here, thanks Lunchboxbunch! 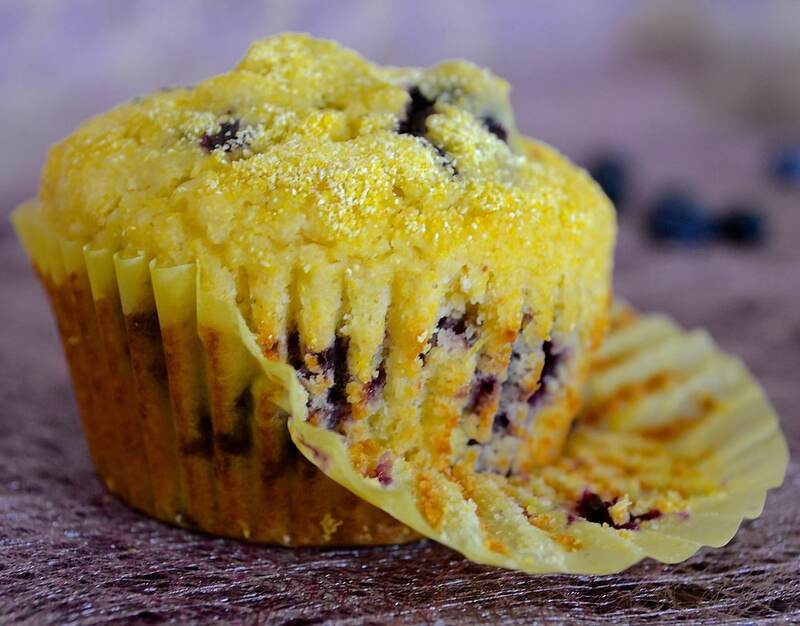 These vegan cornmeal muffins are a the perfect dessert themed healthy vegan snack for kids! The zesty lemon and sweet blueberries paired with the spongy dough and slightly grainy cornmeal make for a delicious treat for the whole family. Full recipe found here, thanks Avirtualvegan! 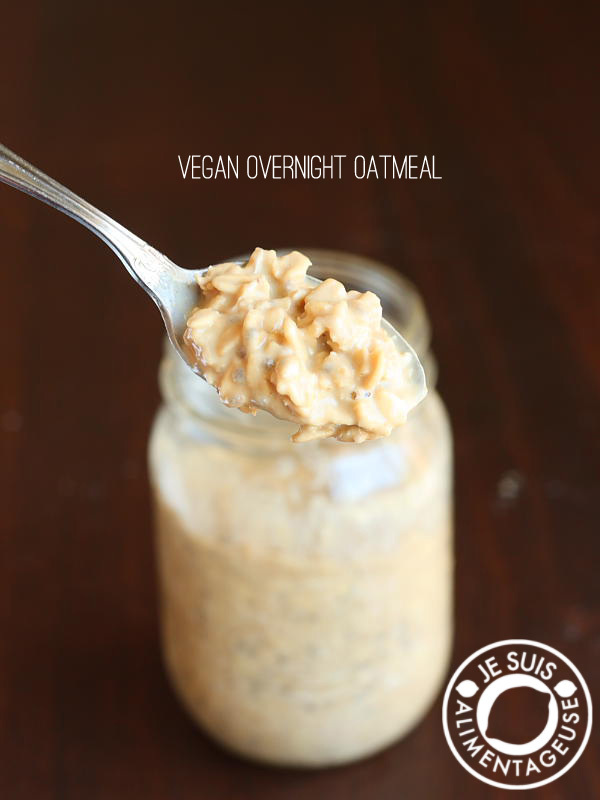 Kids love breakfast at all hours of the day, this overnight oats recipe can be made ahead of time to satiate you and your kids craving at any time of the day. Sweeten it up with your favorite fruit, or some Nora’s Kitchen Granola! Full recipe found here, thanks TheVietVegan! These gluten free, low fat, high protein tofu fingers are impossible to say “just one” to, beware! Marinate the tofu overnight for the best flavor and customize your marinade to whatever flavors you like! Full recipe found here, thanks Cearaskitchen! 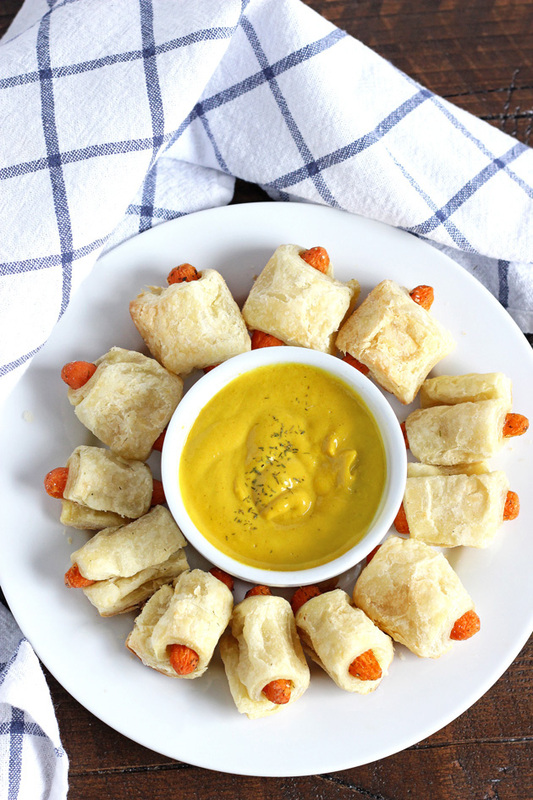 The cutest snack ever now has a vegan variant, carrots in a blanket! The carrots are cooked until soft and tender, just like a hotdog. Eat them with mustard for the full experience! Full recipe here, thanks Neurotic Mommy!